Nice to know the mosquitos are getting eaten! This was a fast shot in the dark, so it was very grainy, but I went ahead and enhanced the texture and brightened the sky. The light in the photo is from a street lamp. 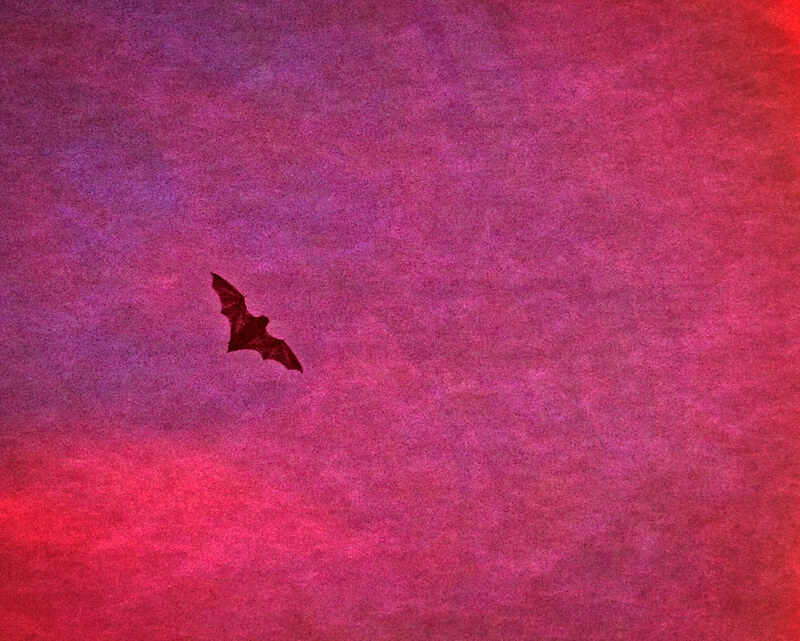 Side note - Christo the hawk was in a nearby tree watching this bat fly around. I tried to capture them both, but the bad was maddeningly fast.